Since Samsung threw its hat in the voice-powered digital assistant ring back in 2017, it feels like we've been talking more about how you can disable or remap the Bixby button on the company's various flagship phones than what the Google Assistant and Siri rival is actually capable of doing. But after almost two years of stubborn insistence on Samsung's part to either block or complicate any attempts at modifying the behavior of the hardware key on the Galaxy S8, Note 8, S9, and Note 9 in any way, the company is finally listening to its annoyed users, giving potential Galaxy S10 buyers one more reason to pull the trigger. Even better, we now have confirmation via the official Samsung Newsroom that the so-called Bixby Key Customization feature will indeed expand to "previously released Bixby-enabled flagship smartphones"... at some point. The only condition these older flagships have to meet is a switch from Android Oreo to Pie, which most of them have either completed or are in the process of pulling off. You'll still need to wait for a (presumably separate) software update for the customization to be activated, although it's important to keep in mind the button will not become fully reprogrammable once this update is installed. 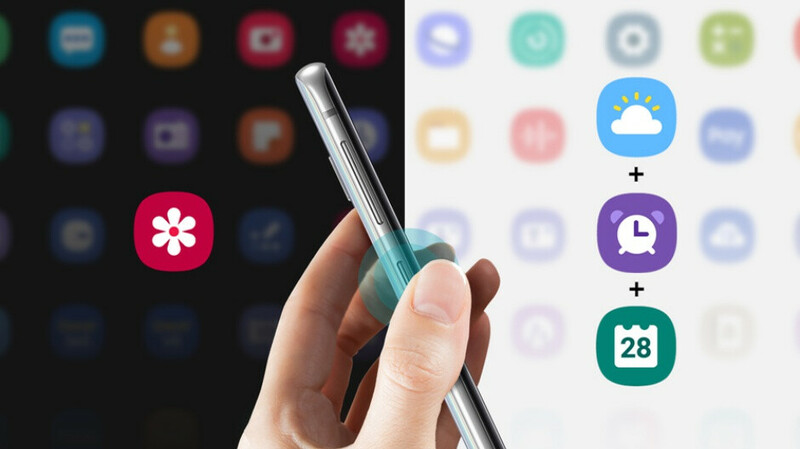 Instead, Samsung will offer you the choice between single and double pressing your phone's side-mounted key to launch Bixby, while the other option can be used for a "Quick command" or to open any app you want. Basically, you can program the button to summon your Google Assistant with a single press (just a random example), relegating Bixby to double press initiation. Sounds like a reasonable compromise between the company's fervent desire to push a homebrewed service and what most users want. Namely, to be able to take full advantage of a "feature" that's proven far less convenient than expected. glad to see samsung listening to its consumers. The only reason they did this is because the market is not like it was when they have outrageous sales no matter what they do. They now have to listen and conform. See even the battery is now 4000MaH for Sthe 10+. That's kind of how the market works. You see what your customers will and will not pay for, and you adjust accordingly. Business 101.